What if there was one thing you could do that would help grow your child’s brain, improve her problem solving skills, help her do better on standardized tests, prepare her for better paying jobs of the future, deepen her empathy and cross-cultural understanding and give her tools to unlock a lifetime of greater connections and richer experiences? You would be all in, right? Well, these are just a few of the benefits that research shows bilingual people enjoy. And since foreign languages are most easily acquired as a child, giving your child the chance to learn a foreign language is like giving her a gift for life. Perhaps some of the most interesting research into the benefits of learning a foreign language as a child shows that second language acquisition actually rewires kids’ brains starting from a very young age. Neuroscientists have used brain imaging to see that brains in bilinguals have more “gray matter” in the area of the brain responsible for executive control. The mental effort of choosing the right language at the right time is believed to build up this part of the brain. As a result, bilinguals have shown better performance on tasks that require focusing, multi-tasking and creative problem solving. The mental benefits of learning a foreign language as a child show up in a number of different ways. Children who speak a foreign language perform better on standardized tests in math and English than their monolingual peers. They also start reading earlier, and are better at understanding grammar. The mental benefits of learning a foreign language last into adulthood. Studies have even shown that being bilingual can help offset the onset of dementia by 4.5 years, thanks to a “mental reserve” that bilinguals build up. Years ago people believed that learning a foreign language as a child would interfere with a child’s acquisition of their native language – but science and the experience of billions of bilingual people globally has showed the opposite is true. Beyond the mental benefits, there are important interpersonal benefits from learning a foreign language. Language and culture are deeply interconnected – and not surprisingly, foreign language learners show increased cross-cultural awareness. Young children exposed to a foreign language show greater empathy in tests where they are required to understand another person’s perspective. The very fact that the same thing can have more than one name helps children understand that different people can have different ways of looking at the world. Why do sheep say “baa” in English, “miē” in Mandarin and “beee” in Spanish? Why do English speakers call goldfish “gold”, while French speakers call them “red” (poisson rouge) and Spanish speakers call them “colored” (pez de colores)? Learning another language helps remind us that our perspective isn’t the only one. Being able to communicate with more people brings new opportunities. In a globally connected economy, bilinguals have greater access to jobs and they earn higher salaries. They have access to study abroad programs and even scholarships to help them continue their language learning. Speaking another person’s language enables you to connect more closely with them. It enriches travel experiences. And for children, who are intrinsically wired to learn, there is a joy of discovering new ways to say things and look at the world. More than half the people in the world speak two or more languages. Sadly, language learning in schools in the US lags other countries. In the US, 18.5% of students are learning a foreign language in school. As a result, economists, politicians and educators worry that the low rates of foreign language education has implications for America’s ability to compete in the future. 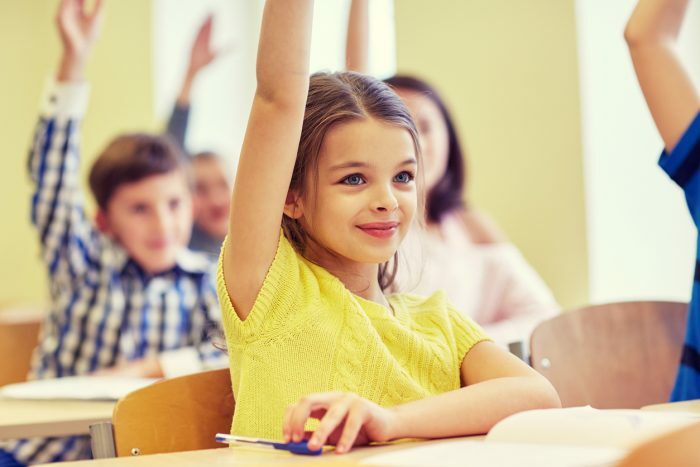 Additionally, foreign language education in the US often starts in middle school, which is after the critical period for language acquisition has begun to close. That makes it harder to acquire native-level pronunciation and grammar. As parents, we’re always looking for ways to help our children get off to a great start in life and be prepared for the future. Learning a foreign language has lifetime benefits – and research shows starting young is the best way. That means parents often need to find independent approaches to help get their child’s language learning off to an early start. Live one-on-one conversation practice is critical for learning a language, and PandaTree makes it easy with online video sessions. Carefully screened tutors tailor online sessions to each child’s level and interests. And for busy parents, convenient online sessions means no one needs to leave home. Between sessions, games and stories help kids build skills while having fun. Parents and educators, we want to hear from you. There are so many amazing benefits to children from learning a foreign language. What’s the most important reason for you? Great article! Thanks for information. Thanks! We’re so glad you found it helpful. Thanks, Ashley! We sure do. Our Twitter address is @pandatreetutors. Our Facebook page is @PandaTreeTutoring. Thanks for following us. I think this article gave a lot of good reasons why we should all learn a foreign language. I think that we should learn multiple languages so we can get a better understanding of the world and so we know more. Speaking two languages helps us by giving us more chances to get a job in the future. I feel that we should learn other languages because you can speak to more people outside your country. I think that learning a second language is good because you can get a better understanding of other cultures. Also it is good to be bilingual because your brain not only develops more but faster than monolingual people, and it will really give you an interest for learning. I like that I learn a second language in school because it allows me to connect with most of the world, especially when traveling. It’s also respectful to speak to someone in their language. I think we should learn a second language because you can get a good job. It is also good so if you go to a place where they speak a different language because you would be able to understand them better than others that do not know. It also opens up communication lines. I think it is good to learn other languages because they help us speak to other people outside of the country. I found this article very interesting, and I think we should learn a second language in school because it gives us better job opportunities in the future. Previous Previous post: Welcome to the PandaTree Blog!